Believe it or not, I'm still using my ancient JR radio to fly my planes at the neighborhood soccer field. It's shocking but true. I have a handful of Corona dual-synthesized receivers that work great, so I've never invested in something newer - yet. I even have a few functioning planes that I fly WITH this old stuff! I'm about to start building an FT Mini Arrow and something docile to teach my kids on. Anybody else out there want to admit that they're as cheap and old-school as I am when it comes to radio gear? 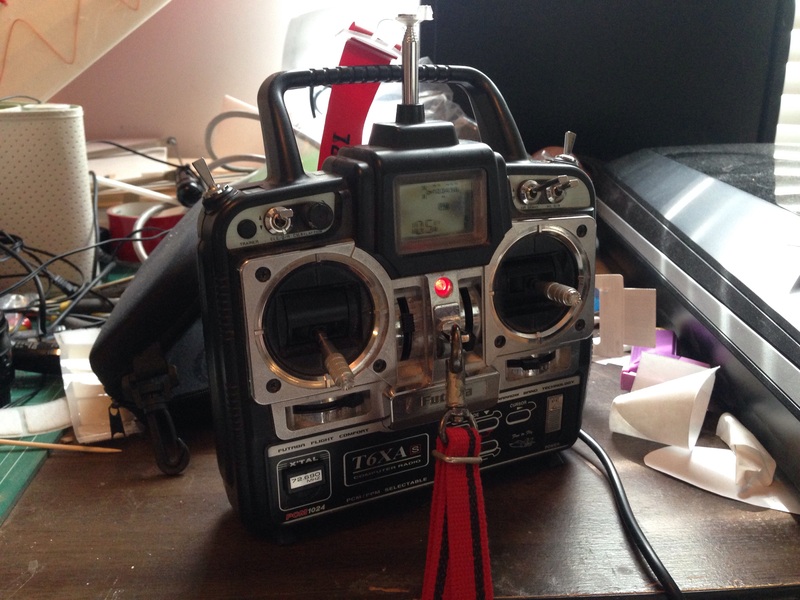 I love my Futaba T6XAs 72mhz.. I still fly with it. I need to pick up some more Corona receivers before no one sells any more of them. I have a 2.4 dsmx module I may install in a JR XF421EX i got for 20$ to use as a buddy box. However that mainly is for my daughters FPV vapor and a micro I am building. I still have as my main transmitter my Multiplex Profi MC3010 which runs on 35mhz (in EU, the standard was 35mhz, whilst in the US it was 72mhz), and I still love it!! In fact, these old radios are even more sturdy and safe now, as the 72 and 35mhz frequencies are almost empty now everyone's on 2.4ghz!! I still use my Futaba 7CAP when I fly at my farm, best radio I ever owned. I don't think this had anything to do with resisting the future, but if you want to let a good radio rot on the shelf that is your choice, or maybe you should think about letting someone have it who might actually use and appreciate it. Yah well. I dont see a reason yet to go and buy an new expensive 2.4 radio when I have a high quality futaba radio that still works. Im sure though If I would of stayed in it and not been out of it for 12 years I probibly would have a new radio by now. Also to me its still new since I did not use it long in their first place.. Your Futaba has a flat pack, like 8AA's laying flat next to each other? Mine was rectangle like two bricks of four AA's so I bought this.. This might work for you, there are other styles also just look under Rx/Tx packs under batteries at Hobbyking. That last one may work.. Thanks!!!! No prob there are other sizes also, sure is nice never have to worry about Tx batteries needing a charge. Well right now they should last a whole day on one charge it seems.. If you turn off at each flight.. However you have to charge it overnight when done. I seriously never charge mine more than once every couple of months even if I use it a lot, since I only use this radio at my farm it usually lasts four to six months. A good friend of mine gave me a JR XP662 to get me started in the hobby. I'm about to order parts to build my first airplane. A good friend for sure and that works, and welcome to the hobby. Apparently others on this board could learn from that. I still use old school transmitters too. I have a (robbe) Futaba F-14 (40 MHz) and FX-18 (35 MHz). At this moment a FrSky DIY 2.4 GHz module is on its way to make the FX-18 continue to withstand the test of time. A wise man once said; If it's not broken, don't try to fix it. Must admit it's not entirely true, for I've upgraded the power source of the FX-18 to a LiPo battery instead of the original NiMH, but the F-14 is still running strong on a hamster wheel (a 12 year old Sanyo Nickel&#8211;Cadmium). I love , love , love my Futaba T6XAs. Has all the features i need why upgrade all the channels are mine. No one uses it any more.. So true. These days of 2.4 and other GHz ranges freed up the lower bands. And the range on those old transmitters, above a mile is peanuts. So true IBCrazy supposedly got 4 miles on an Corona Synthesized Dual-Conversion 8ch RX.. I have the 6 channel version. He had to turn around because of batteries not rx. LOL.. Lets see 2.4 do that.. I went and visted a club asked where the radio boaurd. They laughed, all yours no one flys it. I guess I missed allot in the 13 years i was out of the hobby. Im sad I had my dad throw away my futaba conquest 6 channel 72mhz am radio... I had like 6 rx's for it.. All the new people yes we flew without expo or dual rates back in the day. Thats what I learned on.